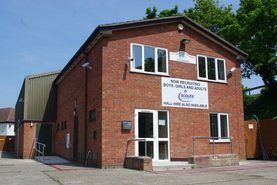 Our scout hall is available to hire on any day and is also available on Monday, Saturday and Sunday evenings. It can be hired on either a one-off or regular basis. 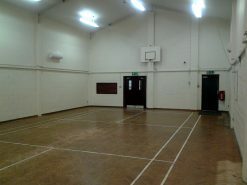 The hall is suitable for childrens parties, playgroups and social groups such as slimming clubs, craft groups etc. Please note – it is not suitable for wedding receptions, 21st birthday parties or similar due to restrictions on amplified music. 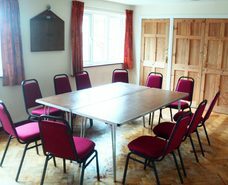 There is a main hall, a kitchen and 3 further meeting rooms available. Limited storage may be available for regular hirers. Disability access is available to all ground floor areas. The premises have separate male, female and disabled toilet facilities. Hall capacity is 150. Tables and chairs for 70 are also available. Free parking for up to 25 cars on site. The main hall is approximately 15m X 9m. 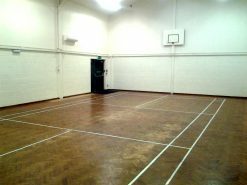 It has a wooden floor is marked with a Badminton court and has basketball hoops at each end. The hall is lit with high level lighting, and is heated by electric radiant heaters which are wall mounted. 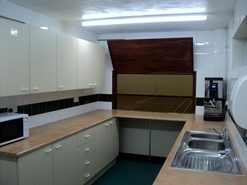 The kitchen is situated at one end and has a serving hatch into the hall. This room is approx 6m X 4m and is on the first floor. It is equipped with tables and chairs suitable for meetings up to 12 people. 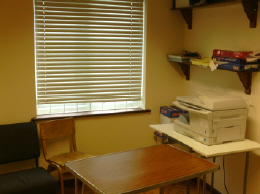 A television and DVD player are available for use in this room at additional cost, the television can also accept input from a computer. 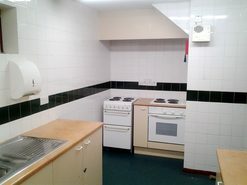 This room is approx 4m X 3m and is on the first floor. 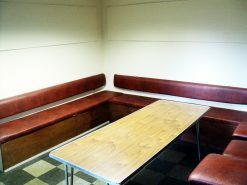 It has bench seats on 2 sides and would be suitable for small meetings of 8 – 10 people.